He's angry. 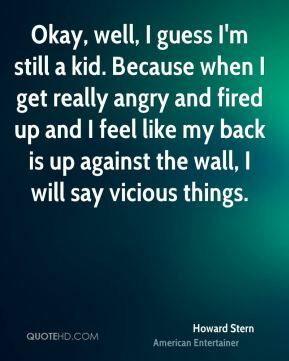 He's always angry. He doesn't want to go to school. 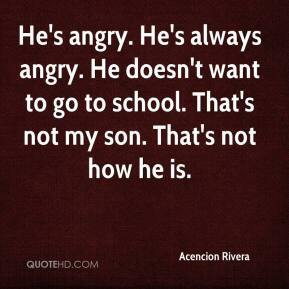 That's not my son. That's not how he is. 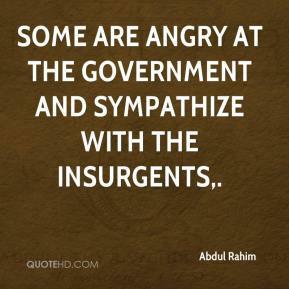 Some are angry at the government and sympathize with the insurgents. I can't say I'm angry. 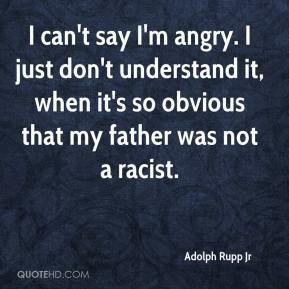 I just don't understand it, when it's so obvious that my father was not a racist. We got swept. ... We are angry, disappointed, displeased. All those things. 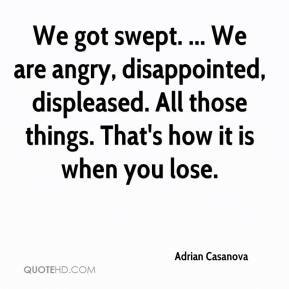 That's how it is when you lose. 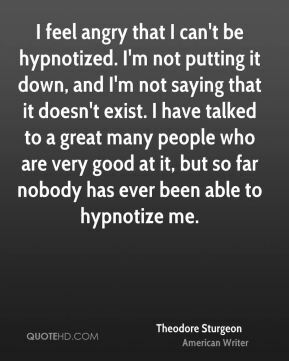 I'm angry, we're all angry. 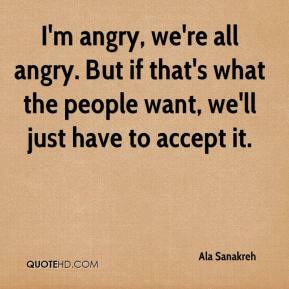 But if that's what the people want, we'll just have to accept it. Right now people are angry. They are wailing and crying. 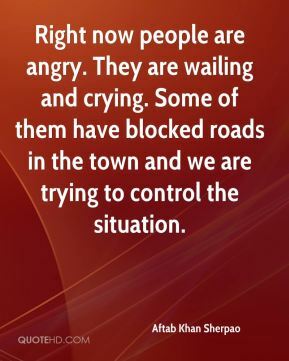 Some of them have blocked roads in the town and we are trying to control the situation. 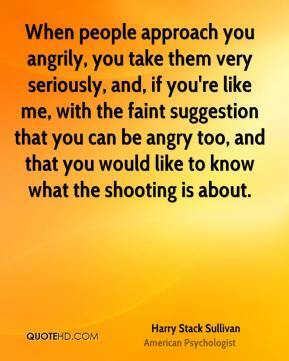 Feeling irritated or angry with colleagues is one of the most common symptoms of stress. 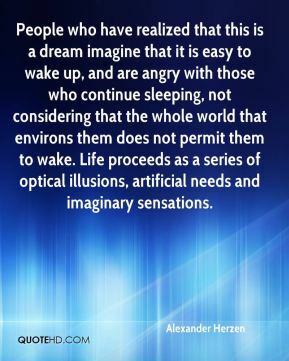 It's important to keep things in perspective. 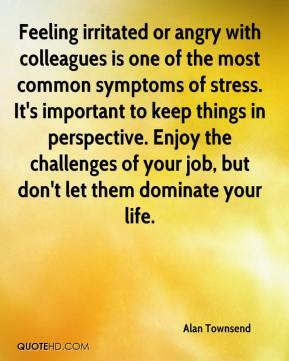 Enjoy the challenges of your job, but don't let them dominate your life. 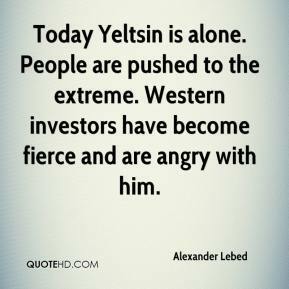 Today Yeltsin is alone. 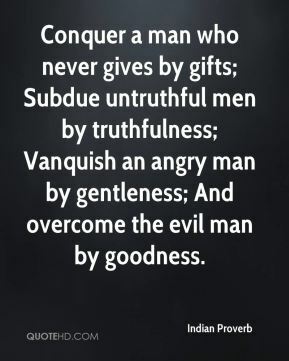 People are pushed to the extreme. Western investors have become fierce and are angry with him. Guy did a great job, I'm not angry. 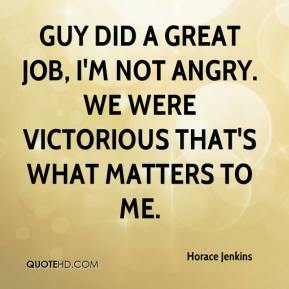 We were victorious that's what matters to me. 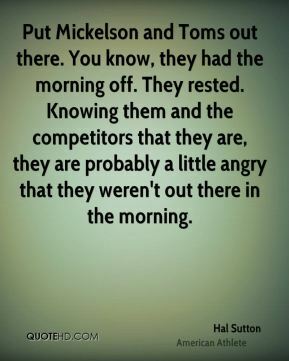 They're angry. 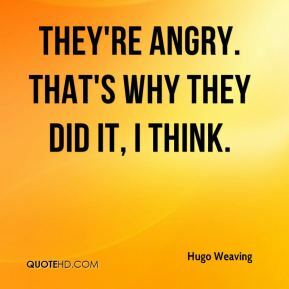 That's why they did it, I think. I have no idea how to describe my feelings in words because I'm extremely angry right now. 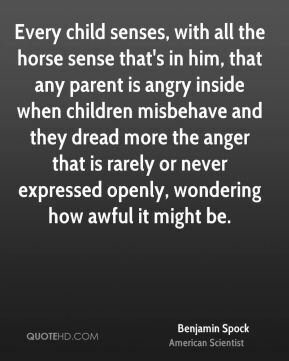 Terry was so angry; she kept saying we have to meet with these people at parent-teacher conferences, ... 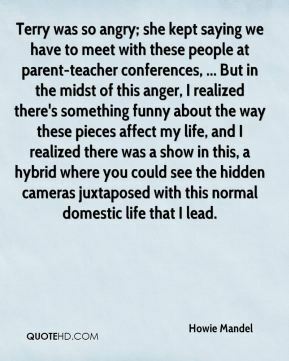 But in the midst of this anger, I realized there's something funny about the way these pieces affect my life, and I realized there was a show in this, a hybrid where you could see the hidden cameras juxtaposed with this normal domestic life that I lead. 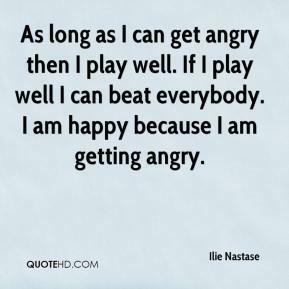 As long as I can get angry then I play well. 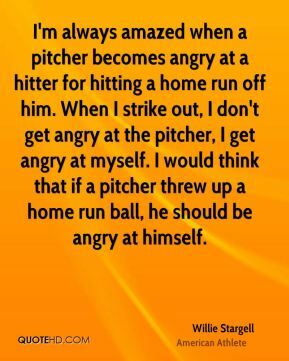 If I play well I can beat everybody. 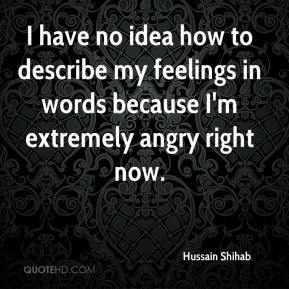 I am happy because I am getting angry. 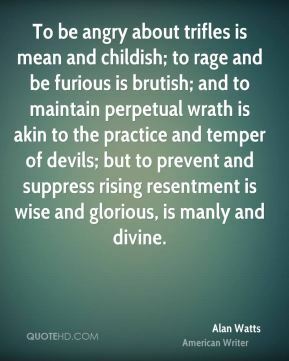 Newspaper reports on Tuesday have suggested that I was angry which is wrong. 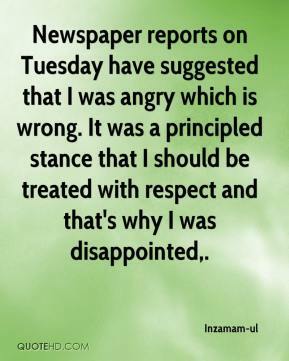 It was a principled stance that I should be treated with respect and that's why I was disappointed. 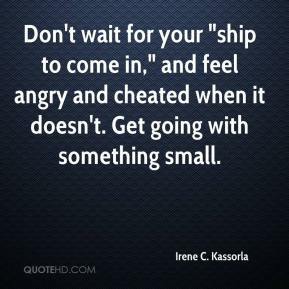 Don't wait for your "ship to come in," and feel angry and cheated when it doesn't. Get going with something small.